There haven't been any complete Asian celebrity editorials that I've been impressed with lately but there have been some eye catching single shots so I thought I'd just round them all up in one post here. Kim So Yeon is one of those actresses who looks equally good in long and short hairstyles and she plays with a variety of hairpieces for W magazine. She looks quite ethereal in a red bob with heavy fringe and I just love how the light catches and frames her face. Jung Woo Sung wasn't looking too hot for awhile mainly cause man bangs don't work for him but he's back to his handsome self with his hair slicked back and rocking a suit at the Esprit Dior exhibit in Seoul. Kiko Mizuhara looks ready for fall in Elle. Son Ho Jun looks cool and casual in Allure. Jeon Ji Hyun has always been know for her signature long hair. They even made a joke about it in My Love from Another Star. It made news when she cut it for the movie Assassination last fall and it looks she's still embracing the shoulder length. It certainly looks gorgeous on her. It was recently announced that Ji Hyun and her husband are expecting their first child. Ha Jung Woo is one of Jeon Ji Hyun's costars in Assassination. The two also worked together on The Berlin File which was quite a riveting film. I always enjoy his work and he looks great here. Assassin is packed with some star power because Lee Jung Jae is also in it. 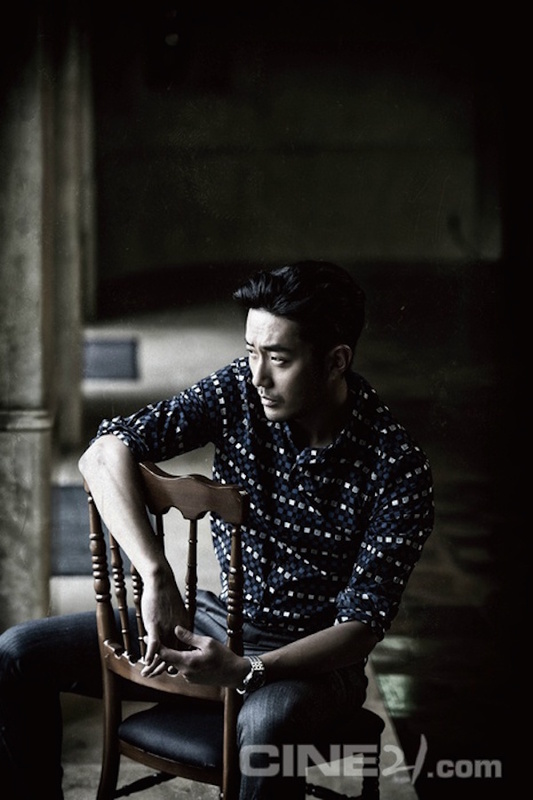 He costarred with Jeon Ji Hyun on the time travel romance Il Mare. It was remade by Hollywood into The Lake House with Sandra Bullock and Keanu Reeves. The original was so much better. Jung Jae is dressed up in a tux for InStyle's July issue which offered a backstage peek at the 51st Baeksang Arts Awards where he was honored with a best dressed male award. Park Shin Hye is also featured in the same issue of Instyle and she looks beautiful and glamorous in a sparkly Jenny Packham gown. She won the Female Popularity Award for her role in The Royal Tailor. Kim So Eun models a soft and romantic makeup look from Siero in Grazia. Kim Bum is what I'd describe as a flower boy and not just because he was in Boys Over Flowers with Kim So Eun which I never watched by the way. He's just so pretty and clean cut. I thought he did a he good job of "roughing up" his look to play a cop in Hidden Identity which we're currently watching. Still pretty but less clean haha. This is a fantastic photo. 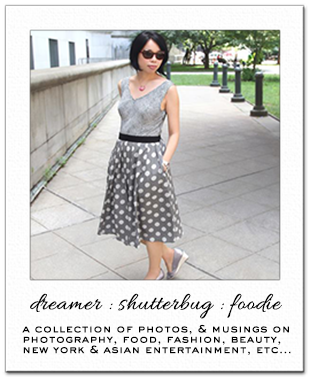 Great collection of pictures, wana see my fashion/beauty/travel blog !! let' follow each other. It's incredibly hard to find a complete editorial that bags it all, I agree, but these are such stunning single shots! Kim So Yeon is WORKING that picture and Kim Bum's shot, I cannot. I'm loving Park Shin Hye's smiley shot, she looks incredible! Stunning pics, so stylish people!!! Great editorial it pops nice job. Have a lovely weekend doll. And Kiku looks so much like Emilia Clarke in that shot. Just gorgeous. i love hearing about new-to-me stars in other countries. I suddenly feel very common and plain, lol :-) Awesome editorials. These are some of the best editorials I've seen featured here and my favourite has to be Kiko Mizuhara, she's stunning and sultry in that picture. I always love Koreans, and they are so beautiful and with perfect skin! Always look forward to seeing when you do posts like this. Stunning bunch. These are absolutely gorgeous editorials! Great round up of photos and YES she looks great in this bob, wish I could pull something like this off but hmm not so much with my Irish ruddy skin. Beautiful people! Hope you have a great weekend. These editorials all seem lovely but two of them caught my eye the most. First is the first one, that one with Kim rocking that red bob. That is such a cool hairdo. I also really like Park in that long white gown. She looks so angelic! Beautiful people Rowena. That first actress with the pink hair is so pretty. What do you think of the colors people are choosing for their hair these days? I saw Kelly Ripa with her hair a bright blue the other day and wasn't sure it was a good look for her :\ but I think it's fun on younger folks. Beautiful editorial, Rowena. Jung Woo Sung looks hot................Happy weekend, doll. Beautiful round up, my friend. Have a great week ahead and hope you had a lovely Sunday! This is a very eye catching and accomplished list indeed! Those are very handsome guys, Rowena! Beautiful people! Kim So Yeon reminds me of Leelo from The Fifth Element! I love this! Great roundup! i had to google kim bum to see his face, and i can see how you got flower boy. love the editorial photo of him here.